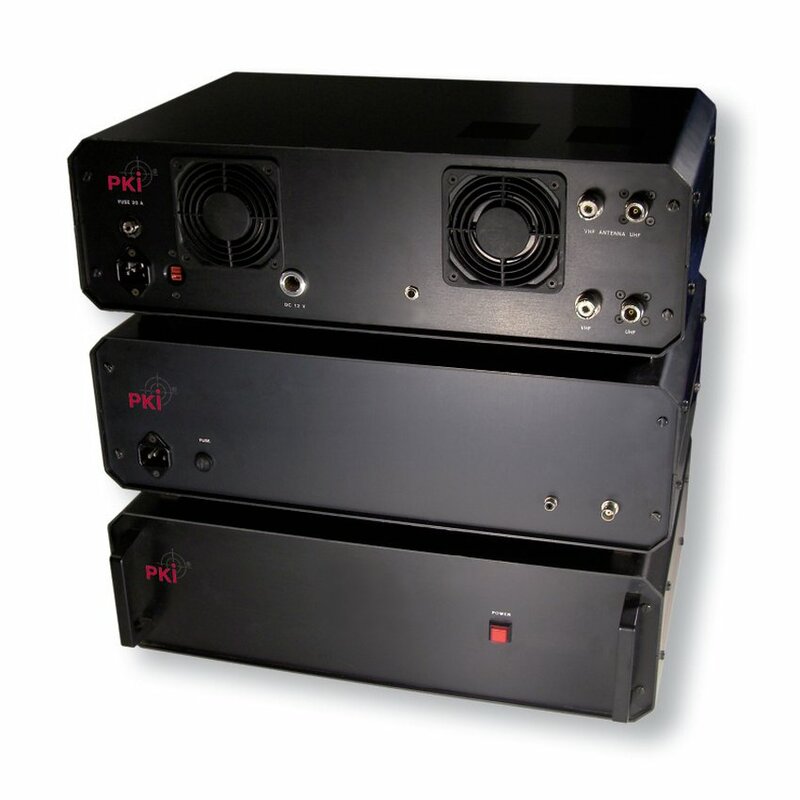 The PKI 6450 jammer with high transmission power is ideally suited to cover large areas. Besides its high transmission power, its special mode is predominantly responsible for the effectiveness of jamming. Jamming methods specifically tuned to the frequency ranges ensure a total blockade of the receiver/transmitter to be jammed. This technique helps to achieve operating ranges that are considerably larger than in case of conventional frequency suppression. Especially digital transmitters and receivers are quickly disturbed by this jamming method.